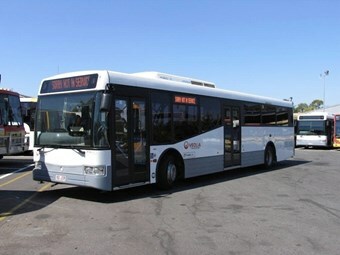 While most Sydney bus operators have been forced to compete for services, Veolia Transdev has been allowed to renegotiate contracts. Despite the New South Wales Government announcing last year the start of competitive tendering for metropolitan bus contracts, Veolia Transdev has successfully renegotiated Sydney contracts 10 and 13 for another seven years. The company was last awarded the contracts in 2005. Veolia Transdev Australasian CEO Jonathan Metcalfe says the company was able to renegotiate because it had committed to provide access to assets including buses and depots at the end of the last contract term. "In return for providing this value Veolia Transdev was given the option to renegotiate the contracts rather than them being competitively tendered like other Sydney metropolitan bus contracts," Metcalfe says. Metcalfe says the company was also first to sign the new era of contracts in 2004, which gave it ‘the right to negotiate these contracts rather than go to tender’. Metcalfe says as part of the new contracts, the company will improve timetable information, notifications about delays to services, punctuality, and reliability. He says the company will also introduce pre-pay at key stops, additional spare buses in the peak period, and increased bus cleaning. BusNSW Executive Director Darryl Mellish says BusNSW supports the decision to renegotiate the contracts. "In fact we felt all non-government metro contracts should have been handled this way," he says. "It demonstrates that the government objectives can be met by negotiating performance-based contracts with the incumbent." "Hopefully the success of this contract negotiation will see a similar result with the outer metropolitan contracts." Contract 10 commenced January 1 and contract 13 will begin on May 1.